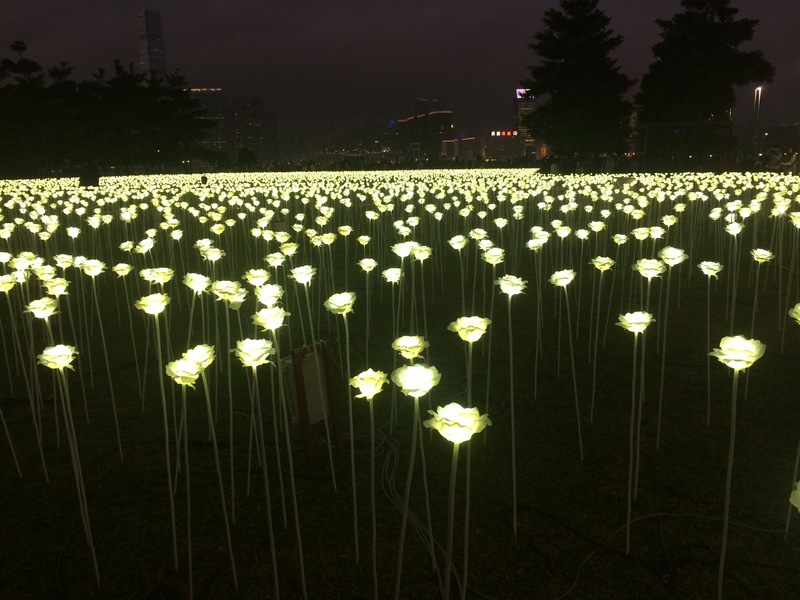 It’s like a romantic scene out of one of South Korea’s sappy soap dramas — tens of thousands of illuminated roses forming an impressive backdrop for the lead actor and actress to declare their love for each other. 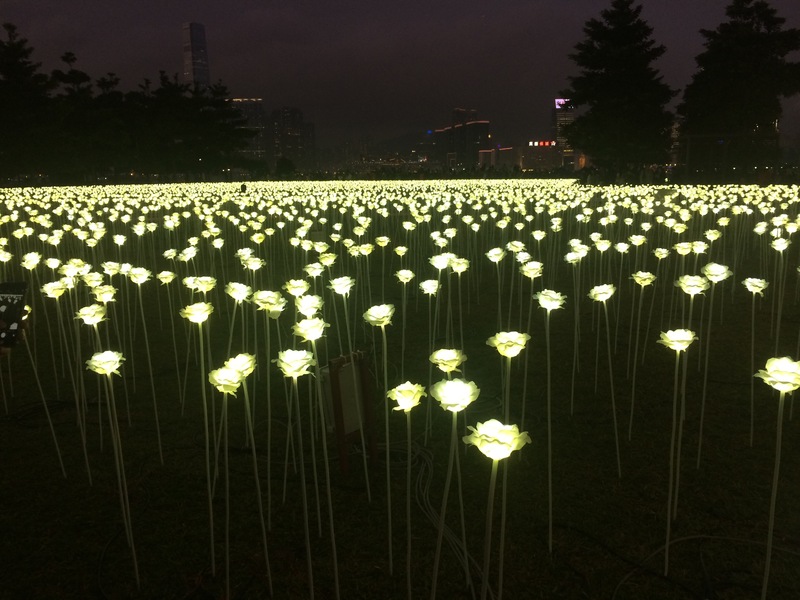 The Light Rose Garden, a public art installation featuring a sea of white roses made with light-emitting diode, or LED, is also a perfect venue for Valentine’s Day in Hong Kong. 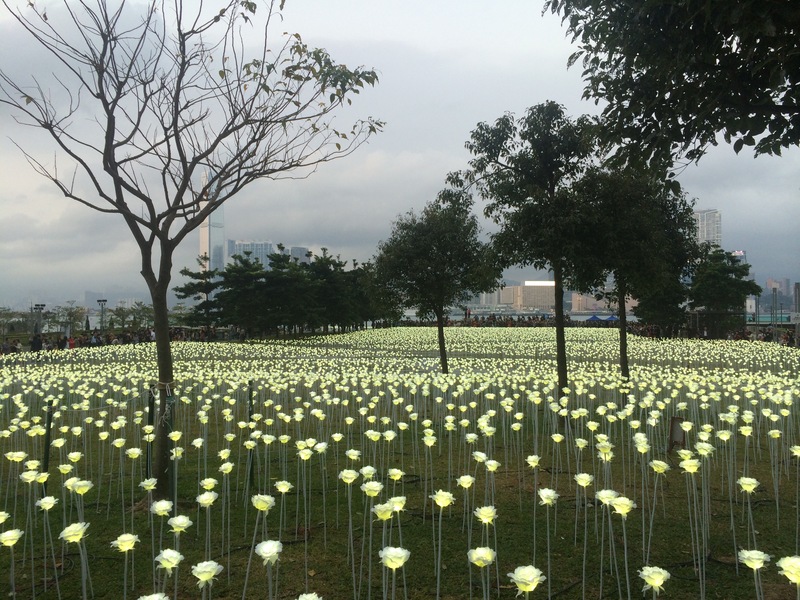 Organizer Jung Yong Jin said he’s thrilled to see people outside of Seoul enjoying the garden, made up of 25,000 waterproof white roses arranged tightly in Hong Kong’s landmark Central and Western District Promenade, with 25 roses planted every 3 square yards. 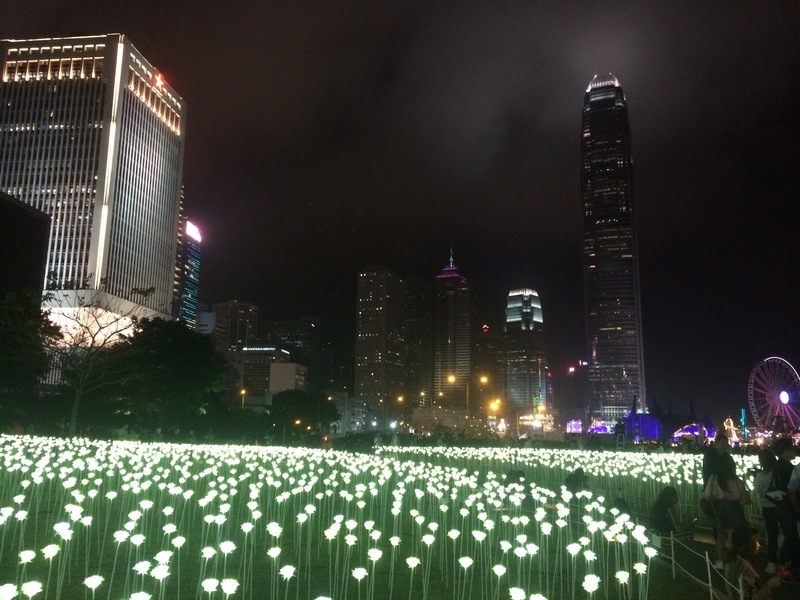 The roses light up each night and instantly illuminate the park against the backdrop of Hong Kong’s skyline. 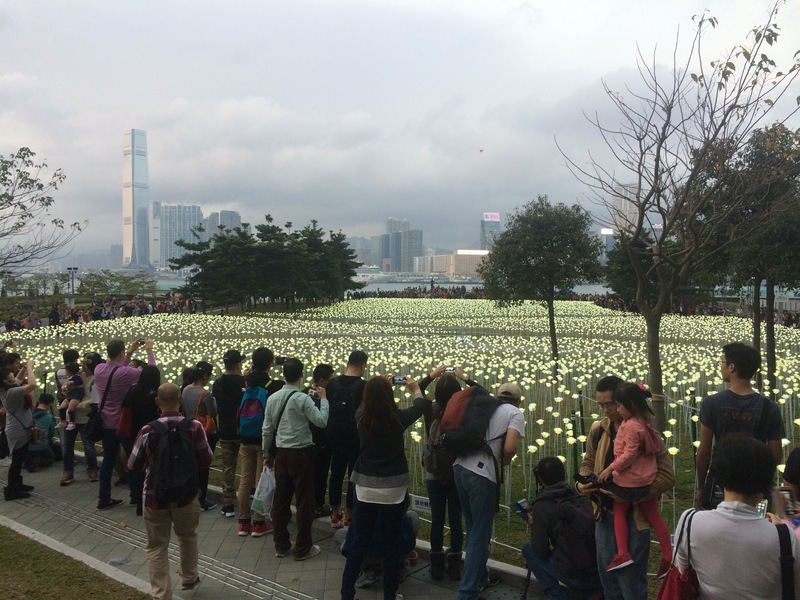 Couples, families and friends flock to take photos. 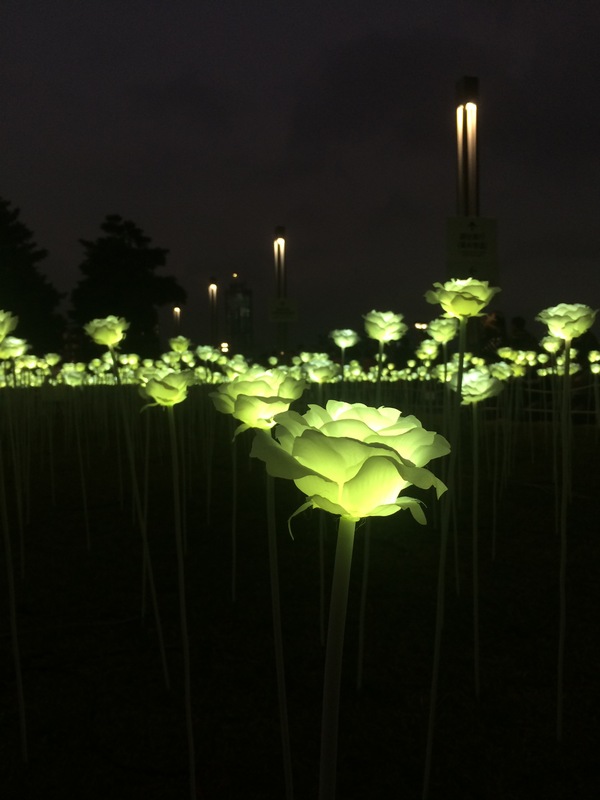 “I created this LED rose garden because I wanted families, friends and lovers to come out to parks at night,” Jung said. For Valentine’s, he gave her roses made of Lego bricks. 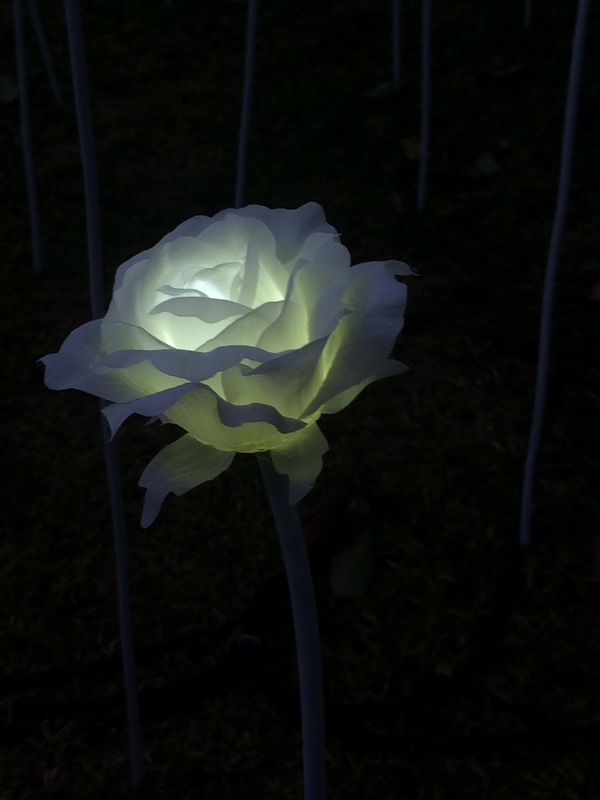 The light garden’s next stop is Singapore on Feb. 22.